One of the most popular destinations for golfers wanting to take a winter break is Algarve in sunny Portugal. However, there are many other European destinations that can give you a superb golfing vacation experience. Malaga and the scenic Costa del Sol have as many as 70 beautiful courses, some of which are international championship-grade. Countries that you may have ignored like Cyprus, Morocco, Turkey, etc. have many splendid golf resorts located in beautiful mountain and coastal surrounds that you can take a pick from according to your personal preference. The Carya Golf Club that hosts the European Tour Turkish Airlines Open is a fully floodlit 18-hole course allowing you to enjoy an amazing round of night golfing. Instead of planning a golf holiday on a sudden impulse and paying through your nose to be able to arrive and step on to the greens straight away, it is far more economical to book your vacation well in advance as you will be able to take your own time to decide between various play-and-stay offers that will save you significant amounts on both the green fees and accommodation. You can save a lot of money by taking the time to search for the cheapest flights to your chosen destination. To get the best deal, you will need to book as early as you can before the date of travel. Make use of the various comparison sites online to find out the cheapest flights; it pays to be a little flexible with your travel dates. Before booking your ticket you need to also find out what the airlines will charge for your golf equipment as many budget airlines levy hefty charges that can make a difference to the flight economics and wash away all your potential savings. It is always better to book your equipment in advance rather than at the airport before boarding as it can cost a lot more then. Try to cut down on the need for checked-in luggage by utilizing the excess space in your golf bag for your personal stuff like shoes and clothes. Taking a little time to research and plan not only saves you a pile of money but also lets you complete the whole process without undertaking a lot of stress. Make use of a variety of online tools to compare and contrast various alternatives before deciding. Author Bio: David Holmes is the senior marketing manager of a premium golf resort. An avid blogger and contributor to travel magazines, David recommends http://golfinggetaways.com to all golf enthusiasts. 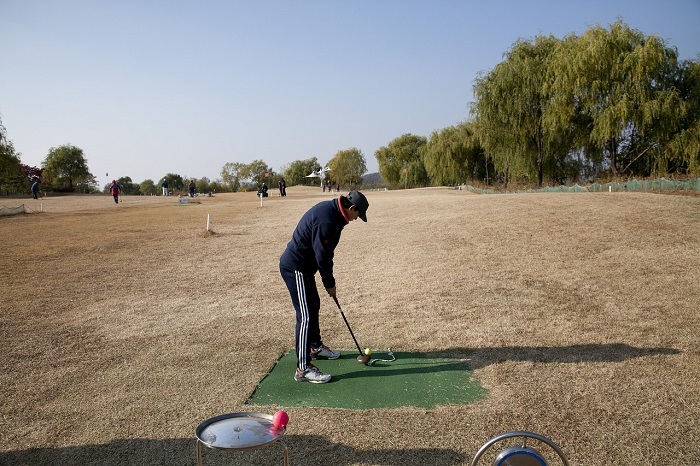 Why Should You Book a Golf Holiday Overseas Right Away? Join today for free and be the first to get notified on new updates. How to look for the best ethical wildlife adventures?